• Alienware 17 R4. • NVIDIA GeForce GTX 1080. • 500GB SSD. • 16GB RAM. The box is missing its handle. Brand: AlienwareModel: Alienware 17 R4Processor: Intel Core i7 7th Gen.
I5 4200U 1.6GHz. - 128GB SSD. Microsoft Surface Pro 2. - Win 10 Pro. What's Included. Your right to cancel. Lenovo 2nd Generation. X1 Carbon. 240GB Solid State. Windows 10 Pro. Plus Mini-Display to VGA DVI HDMI adaptor. 240GB Solid State - 228GB Usable. 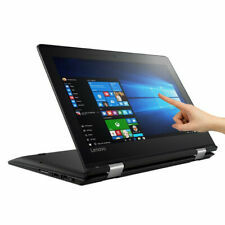 Lenovo X1 Carbon 2nd Generation20A8-S00C0000. All updates, both Windows and Lenovo, have been done. HP ProBook 6460b. · 1 RJ-45/ethernet connector. · 1 RJ-11/modem. · 1 Displayport. · 1x eSATA/USB 2.0 combo. · 4 USB2.0. Type: UltrabookBrand: DellProcessor: Intel Core i5 4th Gen. It has been upgraded to Windows 10 Pro. This T440p is in a very goodused condition. USB 2.0 & USB 3.0, Webcam, WIFI, VGA and Mini-DisplayPort. No BIOS Password. Resolution: 1366 X 768. 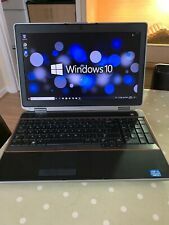 Lenovo T460 Intel Core I5-6300U 2.40GHz 8GB 512 SSD Win 10 Pro . Condition is Used. Dispatched with eBay delivery – Shutl 2-3 days. This Lenovo T460 is in superb condition with no marks or scratches on the casing or screen. It comes with 8Gb DDR 3 ram and a 512 SSD. It has various programmes installed such as Firefox Chrome VLC and Office 2019 . The battery holds excellent charge but hours can not be guaranteed it also comes with a charger and a Laptop. Est. delivery dateEst. delivery Thu, Apr 25Type: Notebook/LaptopBrand: LenovoProcessor: Intel Core i5 4th Gen.
ASUS ZenBook UX305F. Condition is used. 128 GB SanDisk M.2 SSD. There are marks and slight dents from normal wear and tear which can be seen in the photos. UK tiled keyboard. 3.5 mm headset jack. built-in mic. Model: 7265NGW. 256GB SSD (SAMSUNG MZVLW256HEHP-000H1). NVIDA GEFORCE GTX 1060 6GB. Installed Ram: 8.00GB. The screen is in good condition with no marks or scratches, 15". WINDOWS 10. Product ID: 00325-96336-43229-AAOEM. FASAT CHEAP HP 550 - 15.4"
Condition is Used. MODEL:- Lenovo ThinkPad T430S. HARD DRIVE:- 320GB. PORTS:- 3xUSB (2xUSB 3.0), DisplayPort, VGA, Mic/Headphone, Ethernet, SD Card slot. (If you want HDMI you will need to buy a Display to HDMI adaptor cable). Dell D505 Complete units GOING CHEAP. All units are complete and have at least 512mb Ram and between 20GB and 80GB Hard drives with CDRW/DVD roms. Good screens all working and not broken. None are BIOS locked. 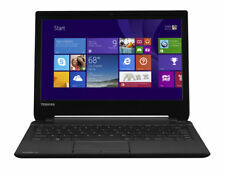 Lenovo Thinkpad X220i I3-2350m 8gb Ram, 120gb SSD, White Listed Bios, Linux. Condition is Used. Dispatched with Royal Mail 2nd Class. Installed intel 7260 wireless card so has wireless ac This machine comes with Pop Os! Installed which is basically Ubuntu Linux Also comes with Docking station and DVI to HDMI lead also DISPLAY PORT to HDMI cable so you can connect to two monitors while in dock. The USB port on the right hand side does not work. Full-featured, thin, and light, the HP ProBook 430 lets professionals stay productive in the office and on the go. Help keep professionals productive in the office or on the go with style, performance and long battery life on the HP ProBook 430. A used laptop can be a great way to stretch your budget and afford a bit more in the way of features and specifications. To get everything you need for your personal and professional activities, consider one of the many models offered on eBay. Why should you choose a refurbished model? 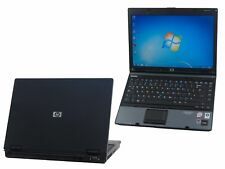 A used laptop is often sold as seen; a refurbished model should operate exactly as if it was new, albeit with a little aesthetic wear and tear. Refurbished laptops will have been fully checked and all necessary parts replaced, letting you benefit from the best of both worlds a more affordable price, with the safety net of a fully tested, as if it was new machine. What should you look out for when choosing used laptops? Operating systems: Depending on your company's needs, you should consider which particular system suits you best. You can choose from Windows, Linux OS, or MacOS. Each used laptop may have a different compatibility and OS installation procedure, so refer to the manufacturer's instructions. Memory: Although additional memory can often be installed, you should still know your required lower level for plug and play functionality. Look at the software you intend to use, and make sure that the laptop meets the minimum requirements. CPU: Processor speed is an indicator of performance and the more cores you have, the more simultaneous tasks can be performed. Many used laptops come with quad core as standard but, for the best combination of cost and performance, look for a model with the highest number of cores and the fastest CPU speed, for the price point you can afford. Screen size: 12.5 to 14 inch screens offer a good balance between usability and portability for basic office activities. If the laptop will be used for showing videos or other marketing materials, a larger screen would be more appropriate. Graphics cards: All used laptops will have a graphics card. However, if your laptop will be used for entertainment and you plan on playing games, a high spec card will be necessary for a more seamless visual display. A new battery should run for up to 8 hours, but a used battery might only hold charge for a fraction of that time. To make sure you can still work when on the go, consider buying a new battery for your used laptop.